Dear @Yiannis. Ethos, a magnificent Greek word with a very heavy meaning. It is most unfortunate that even some Greeks cannot fully understand its meaning. I suppose, it is ethical for you to make accusations without even knowing the guy you accuse. It is ethical to make an accusation as a review which offers nothing to the community here. It is ethical to accuse while you are not even aware of how much the one you accuse bought the bottle. It is ethical to mislead people by doing the wrong maths, comparing euro with pounds, don't taking in account shipping costs, whiskybase fees etc etc. So you who are ethical please do me a favor and write a decent review for the actual bottle and even better, offer your own bottle for the very nice price you bought it to the people that did not manage to get it before it was gone. By the way, The initial price of the bottle is in the bottle page you ethical man so I guess it's just an ethical assault on me personally to mention the price you bought it, just to emphasize. 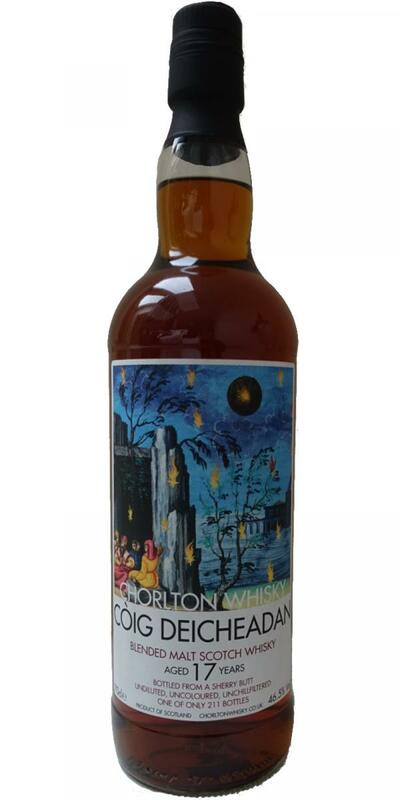 I guess, to your point of view, chorlton as well is anethhical since he probably made a profit by buying the cask and bottling it and selling it, whiskybase shop is also anethical and hundreds of users here. Thank God we, here in Greece, have you to teach us morality and ethics! Contrary to what a previous reviewer wrote, the 2001 component is not Glenrothes but Glenturret. The rest is correct: 1968 Bunnahabhain, and Macallan and Highland Park no younger than 2001 but no older than 1968. 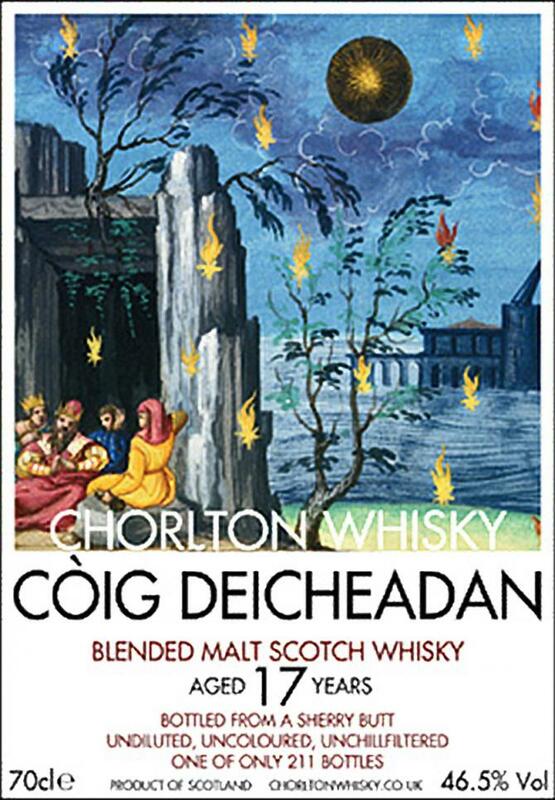 The name "Còig Deicheadan" is Scottish Gaelic for "five decades", referring to the age of the Bunnahabhain component. Beautiful and elegant malt blend. Four components from Bunna 1968 to Glenrothes 2001; with HP and Macallan thrown in and aged somewhere between. All sherry cask malts and then blended in another sherry cask.